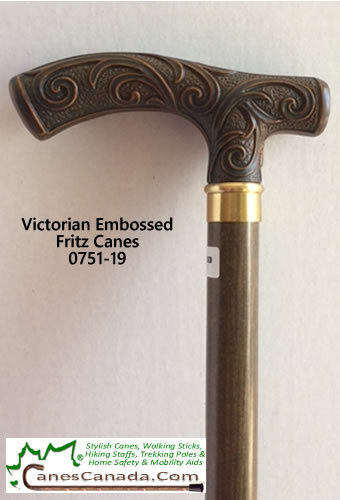 0751-19 Victorian Embossed Fritz Cane- This cane brings elegance to your wardrobe with exquisite detail. 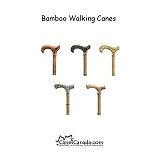 The rich chocolate brown handle is embossed with a beautiful pattern and mounted on an walnut colored wood shaft. .. 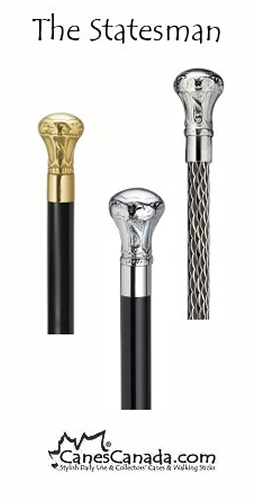 I broke my ankle quite severely a few months ago and in the anticipation of being able to put my full weight on it again, I ordered this cane. 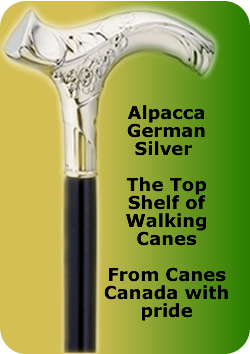 I figured that if I'm going to be limping around for the foreseeable future it may as well be in style. 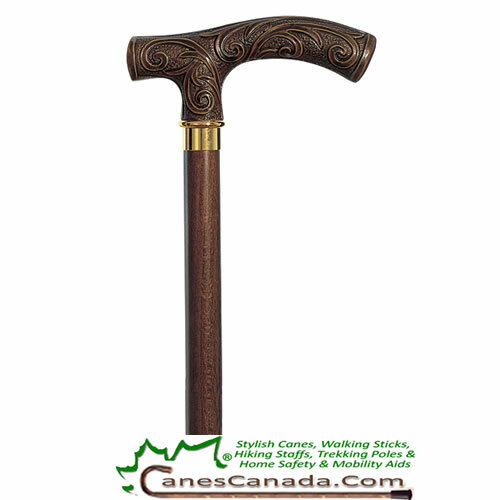 Not only does this cane look great, it provides much needed comfort in the grip which is great for when I'm up longer than anticipated. It's become my trusted side-kick!